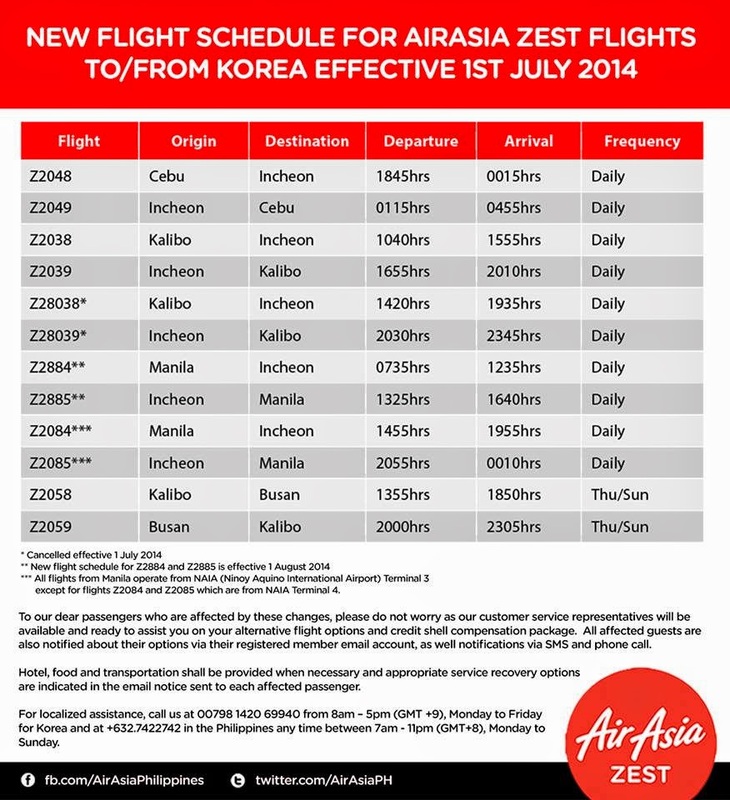 Air Asia Zest Promo Fare: AirAsia Zest will be implementing the following schedule for flights to/from Korea effective 1st July 2014 (please refer to photo). To our dear passengers who are affected by these changes, please do not worry as our customer service representatives will be available and ready to assist you on your alternative flight options and credit shell compensation package. All affected guests are also notified about their options via their registered member email account, as well notifications via SMS and phone call. Hotel, food and transportation shall be provided when necessary and appropriate service recovery options are indicated in the email notice sent to each affected passenger. 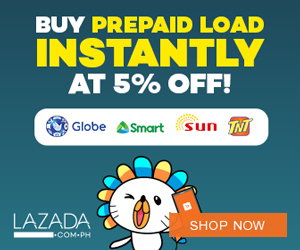 For localized assistance, call us at 00798 1420 69940 from 8am – 5pm (GMT +9), Monday to Friday for Korea and at +632.7422742 in the Philippines any time between 7am - 11pm (GMT+8), Monday to Sunday.